Find some of the best flatbed towtruck services near you with 24 Hr Towing Riverside. 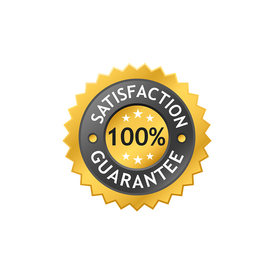 We're proud of our pricing rates and ability to give you prompt service at any moment! No matter where you are in the Inland Empire, 24 Hr Towing Riverside can get you home or to a mechanic swiftly. Out flatbed tow truck operators have received adequate training, as well as their certified towing licenses. 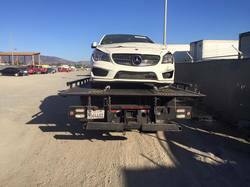 A flatbed tow truck provides one of the most conventionally safe methods of getting your car towed. If you're looking for an elite towing experience, this truck will do the trick. It will keep your car elevated from the road and tightly secured to the aluminum frame of the truck bed. All tow trucks also have varying towing capacities. The capacity of a flatbed tow truck is just over 5,500 lbs. 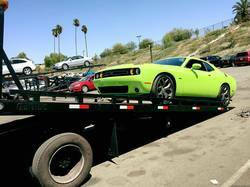 Which gives the flat bed towing truck we use in Riverside, San Bernardino, Corona, Fontana, Rancho Cucamonga and more! We have the power to make almost any car, truck, or motorcycle seem like a small load when we send one of our flatbed trucking professionals to you. Unfortunately, heavy duty and medium duty towing aren't this guy's specialty, but we've got plenty of other trucks! We'll be the best flat bed tow service you can find in Riverside before you know it. As a commonality with any towing companies in Riverside, or the world, If you get your car towed, we are not responsible. The police department should be able to track down your car and identify who towed it (whether or not it was even towed). Quality Flatbeds, Towing and More. Riverside, City and County Wide Towing. Flatbed truck service is one of our many specialties and we will continue to provide you with the best towing service Riverside, CA. Finding a flatbed towtruck is simple when you have our number on speed dial. Whether it be for some cheap flatbed towing or car transport, roadside assistance, or just finding out flatbed towing rates, we're at your fingertips. Dial (951) 229-0586. $49 Hook-up, and $7 or less per mile. Local tows are usually around $100, within 5 miles of your location.